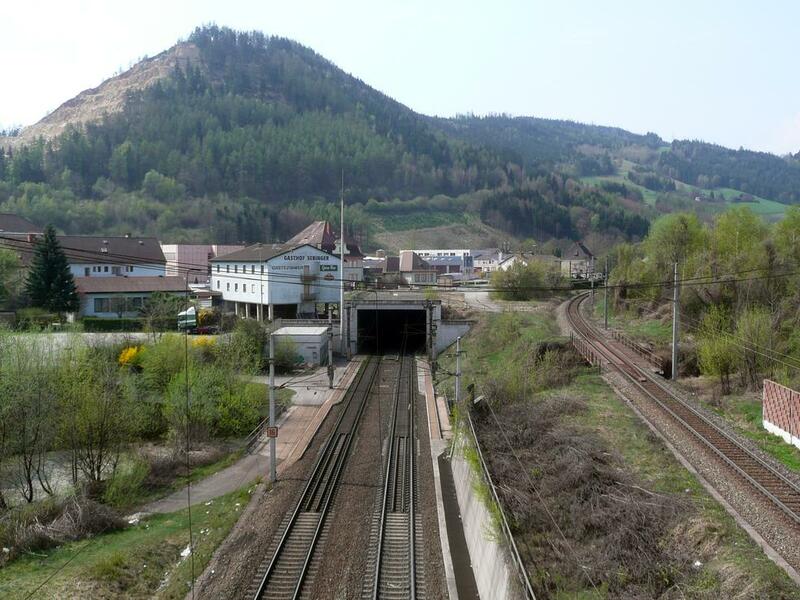 View from above the eastern entrance of the Galgenbergtunnel to Leoben Hbf. You can see the lines from Donawitz (left) and Hinterberg (right) which both don't have much regular traffic. 2011-04-03. The east end of the Galgenbergtunnel (to St. Michael). 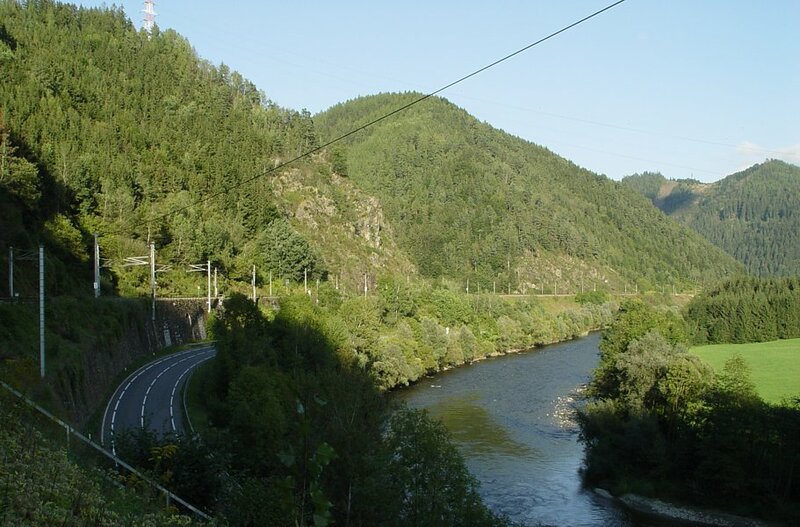 The track to the right goes to Donawitz and Trofaiach (Erzbergbahn). 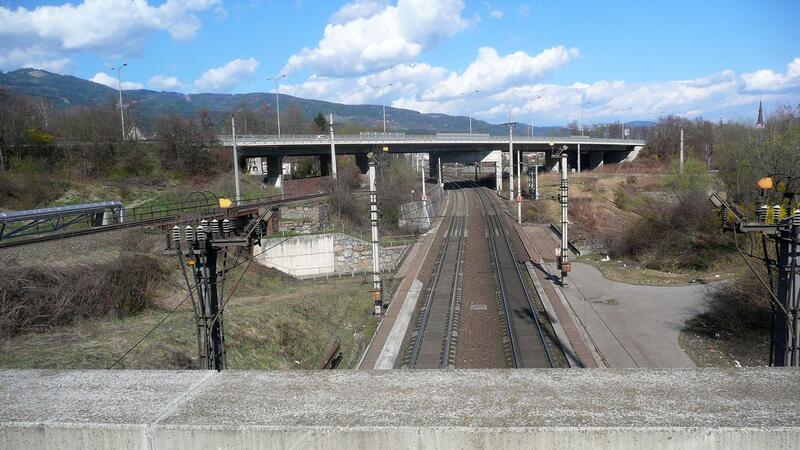 West of Leoben Hbf, 2009-04-13. ÖBB 1042 018 with a short freight almost reached the western (St. Michael) end of the 5462 m long Galgenbergtunnel, where the new (1998) cutoff and the old line unite, 17.09.2004. 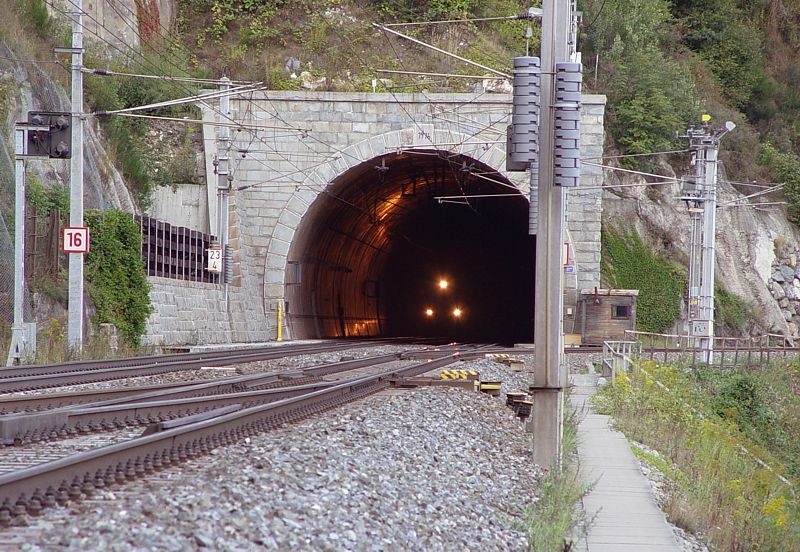 Western entrance of the 5462 m Galgenbergtunnel (opened 1998), with the old line branching off to the right, east of St. Michael/Austria, 17.09.2004. 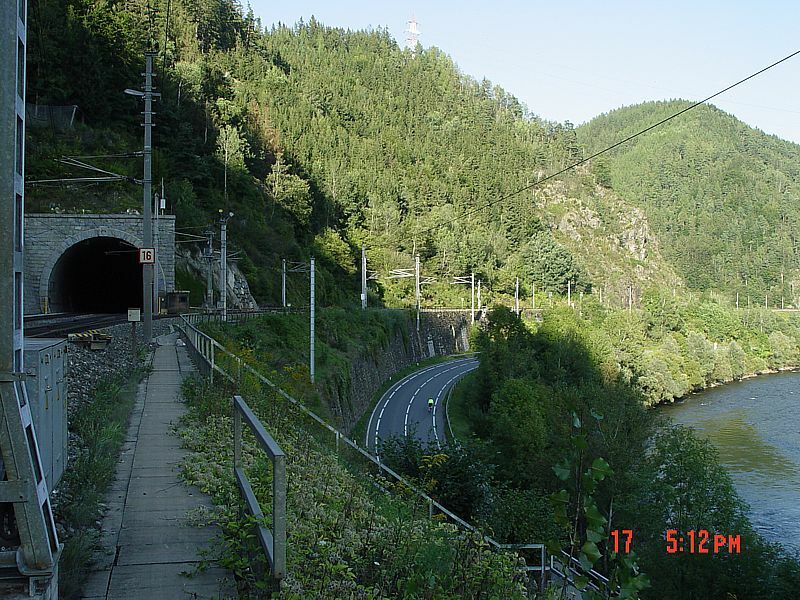 The old Leoben-St. Michael line above the river Mur, as seen from near the western entrance of the new Galgenbergtunnel cutoff (opened 1998), 17.09.2004.